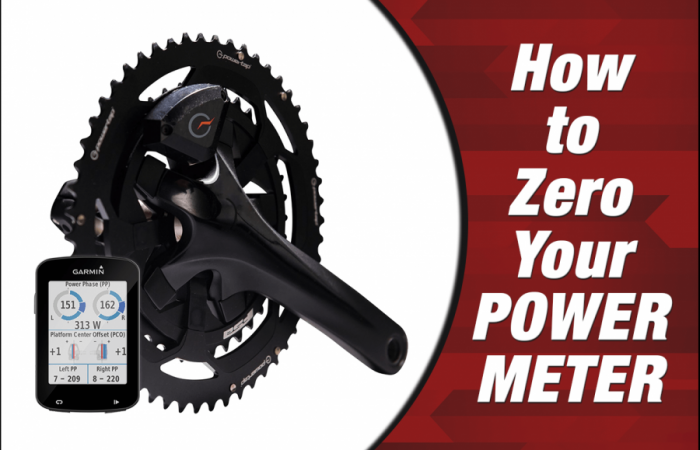 The terms ‘power meter calibration’ and ‘zero-offset’ often get used interchangeably. However in reality, they are completely different procedures. 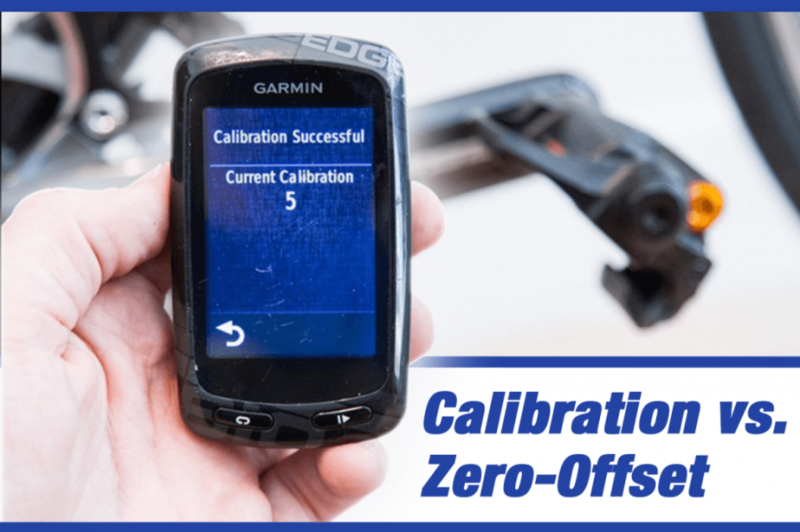 In fact, many bicycle computers actually use the words ‘calibrate’ when they should be using the term ‘zero-offset’ instead. In this article, we’ll explain exactly how these terms differ. 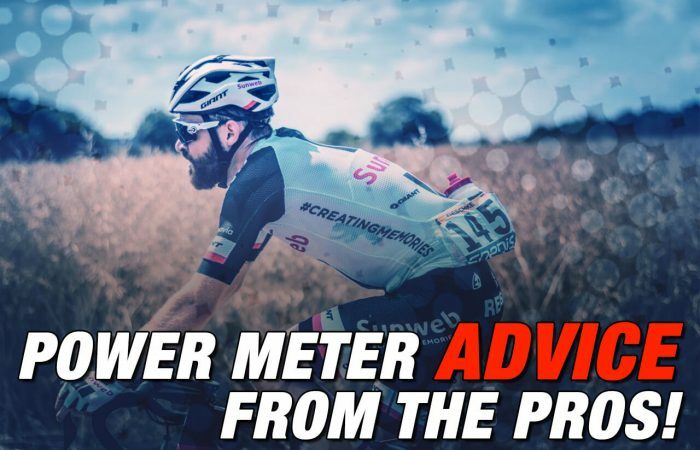 We’ll also tell you what you need to know in order to ensure you get accurate and consistent results from your power meter! Calibration is a one-time procedure that happens at the factory. When your power meter is manufactured, the calibration process essentially sets the relationship between the force measurement input and output. The factory calibrates your power meter by setting what is called the ‘slope’. See the blue line in the graph below. (We’ll get to the red line in a minute.) The slope is a multiplier that is used by the software within the power meter. The software uses the slope to convert the pedaling force into torque and ultimately into watts (which is what you see on your head unit when you’re riding). Slope is given in Hz/Nm and is often written somewhere on the power meter or included in the paperwork you receive with your power meter. 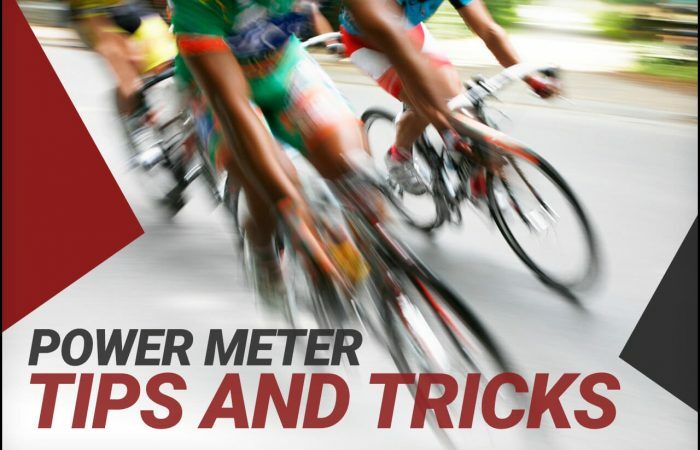 The slope of your power meter should not change to any significant degree, nor is it a number you need to worry about. Every power meter has its own unique slope. You can almost think of it as a serial number. Having said this, if you feel for any reason that your power meter is no longer measuring accurately, you can send it back to the factory where they can check the slope and if necessary, perform another power meter calibration. It’s not common, but over time, it’s possible for the slope to change slightly. Any change in the slope would negatively affect the accuracy of your power meter. Power meters use tiny highly sophisticated devices called strain gauges to calculate your torque or power. While sophisticated, these strain gauges are susceptible to external factors that can influence their accuracy. Specifically, if the material (usually metal) to which they are attached, contracts, expands or is in any way altered, the torque measured by the strain gauges will also be impacted. Essentially, the strain gauges build up a certain level of “residual torque” which isn’t good if you want accurate power readings. Residual torque is usually caused by ambient temperature or air pressure changes. Atmospheric conditions can cause metals to expand when heated and contract when cooled. In addition, mechanical changes such as installing the power meter on a new bike or changing some hardware near the power meter can also affect things. See the red line in the graph above. The slope has effectively moved off its correct zero point due to this residual torque. However, the fix for this is relatively simple. When you perform a zero-offset on your power meter, the power meter zeros out this residual torque. Or more specifically, measures the value at zero load (resets the zero point) and then records this value as a baseline for new power measurement on your next ride. Zero-offsetting or zeroing is similar to setting the tare on a scale. This is the process of setting the scale to zero before adding weight. It removes any residual weight that might remain in the scale that could affect its accuracy. The same concept applies with a power meter. You are just removing the residual torque that remains in the system after your last ride. To ensure maximum accuracy, you should perform a zero-offset before every ride. You can zero your power meter using your bicycle computer. It’s a 15 second task, so you have no excuses not to zero. Even better yet, many power meters have some type of active temperature compensation built in which makes things even easier. Power meter calibration is a one-time procedure that happens at the factory. It’s not something you need to worry much about. When bicycle computers say “Calibration”, they really mean zero-offset. You should perform a zero-offset before every ride in order to ensure maximum accuracy. Power Meter Advice from the Pros! I recently replaced my quarq after my power meter stopped working. Quarq replaced the spider with the new DZero one. My crank arm is a 172.5. However, when I received the spider from Quarq, it seems like they did the calibration with a crank arm length of 172. Would that affect the power readings? Hi Kevin. It’s indeed important that it is calibrated for the correct crank arm length. However, many people use 172 as shorthand for 172.5, as there is no such thing as a 172 mm crank arm. So my guess is it was calibrated for 172.5 (the correct length), however they wrote 172 using shorthand. You can always reach out to them if you’re still unsure, but my guess is you’re good. How much does temperature change the zero offset? We just launched a new article on temperature change here. Most power meters have some type of active temperature compensation built in. However to answer your question directly, I am yet to see anything that specifically says that a change of X degrees impacts accuracy by X%, so I can’t say for certain. That would probably also vary based on the power meter. If you experience a change of 10 degrees or more, I would say it’s time to perform a mid-ride zero-offset, assuming your unit does not have some type of active temperature compensation built in.